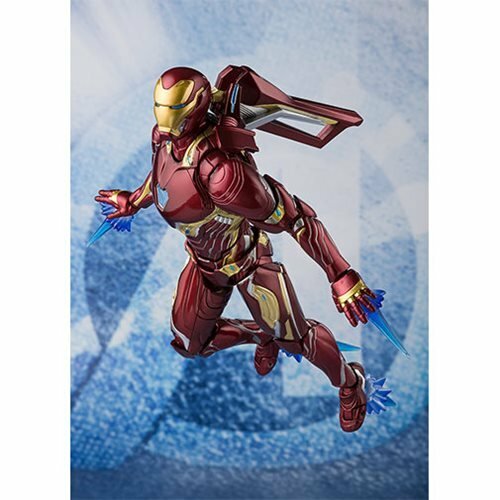 A new set of accessory weapons intended for Iron Man, designed for fans who want to get the most out of their Mk-50 figures! 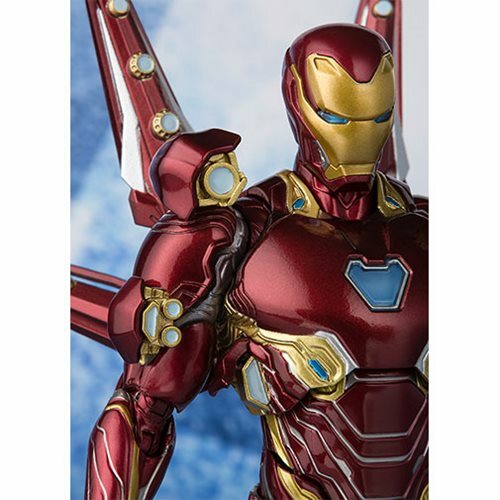 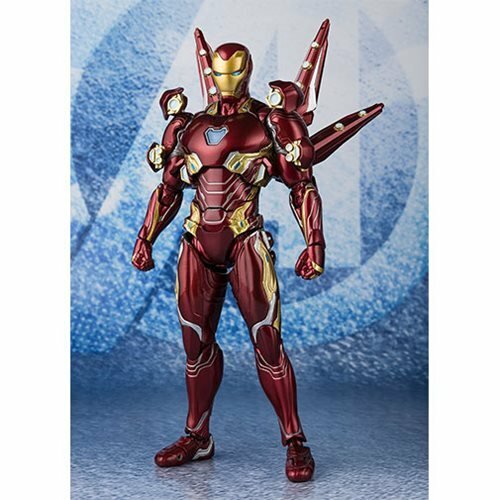 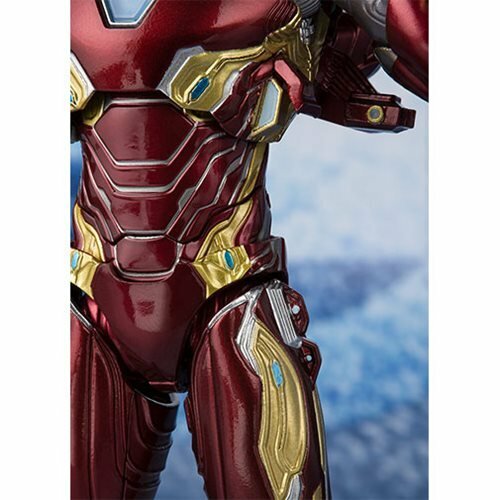 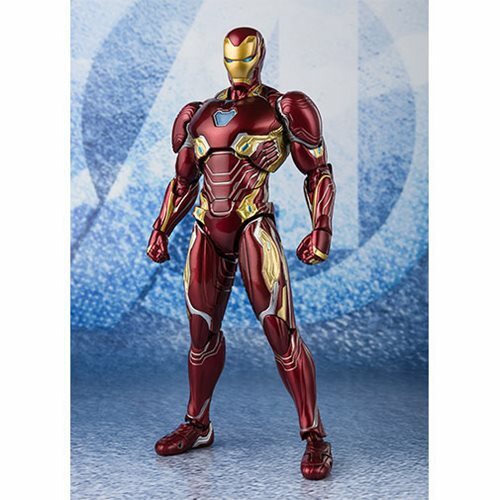 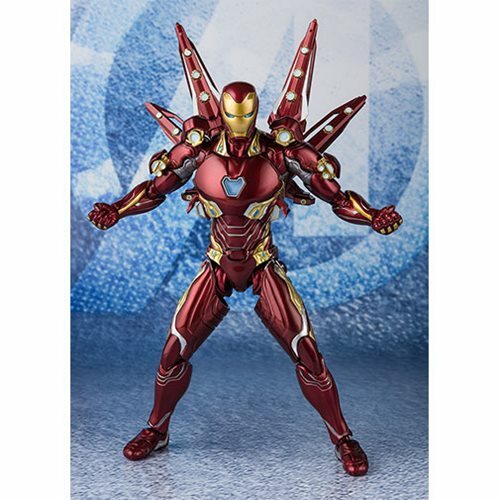 The Avengers: Endgame Iron Man Mk-50 Nano Weapon Set 2 SH Figuarts Action Figure includes a figure, various option parts (shoulders, forearms, calves, thighs, back), optional back weapon system, optional arm weapon system, 3x pairs of optional hands, 2x each of large and small fist effect parts, and 2x leg effect parts. 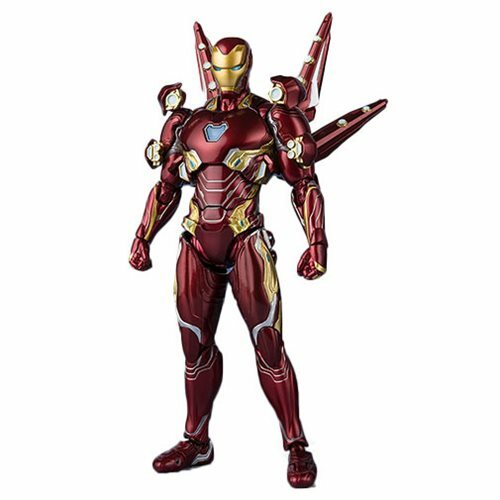 Measures about 6 1/10-inches tall.